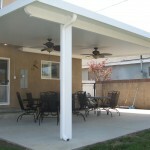 PolyCarbonate Patio Covers In Los Angeles & Orange County | Canopy Concepts, Inc. When you want a patio cover that protects your patio and your furniture from the elements but still lets plenty of sunlight through, you want a polycarbonate patio cover from Canopy Concepts. These clear polycarbonate pario covers are mounted over are standard wood grain embossed aluminum, with a lifetime finish applied at the factory. Our covers come in either a clear or a bronze tint. The polycarbonate shade cover is virtually unbreakable, providing superior protection against vandalism and damage from the elements, like hail. rain, and UV light. 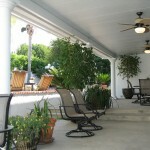 These polycarbonate patio covers are tested at 200 times stronger than glass, and eight times stronger than acrylic. And if that’s not enough, the 10-year warranty protects against discoloration and breakage. In addition to their strength, these polycarbonate patio covers are flame retardant, boasting a CC-1 fire rating per ASTM D635. It melts without igniting and will not support combustion or spread flames. 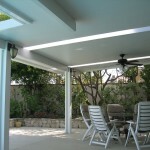 Compared to insulating glass, polycarbonate patio covers can cut your energy consumption by 50%.